Cannock Chase is a 26-mile forest in southern Staffordshire, England. Over the years, many sightings of strange creatures have been reported in this forest. 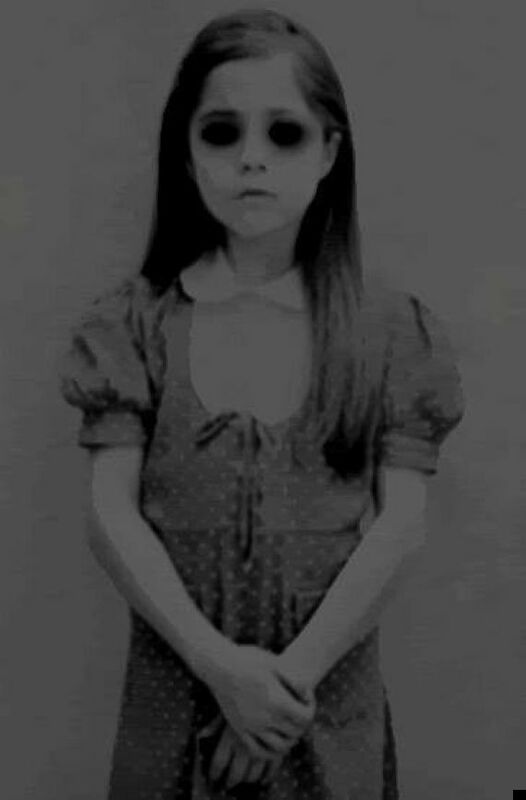 Many of these sightings revolve around a demon girl child that is similar to reports today involving so-called Black-eyed Children. I talk about sightings of Black-eyed Children in the United States, here. 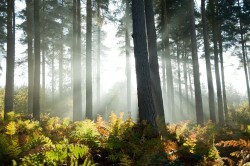 In England’s Cannock Chase these unusual sightings have been reported since the early 1980s. In July of last year, a mother and daughter were walking through the Birches Valley when the two heard the screams of a young child. They broke into a run heading toward the sounds of distress. They searched but didn’t find a child. They turned to leave and there behind them was a young female child no older than ten. The child removed her hands and opened her eyes. The mother horrified grabbed her daughter and started to run. The child appeared to have no eyes--just dark empty sockets. When the mother looked back the child was gone. Witnesses that have seen this strange girl feel strongly that she is not what she first appears--they feel she has an evil intent. For this reason she is referred to as a demon. Most reports state that this young girl lures the witnesses into potentially dangerous situations. There have been eight documented * encounters reported over the last two years--they are all eerily similar. These witnesses all felt that this child was “dangerous.” They have trouble voicing why they got this feeling but they all agree that something sinister was occurring. An early report in 1983 reflects these concerns. A teenager was walking in Cannock Chase when she heard a young child shouting for help. She followed the sound and landed on a dirt path. A young girl--6 to 8 years old--was running down this path in the opposite direction. It was getting dark and the undergrowth was becoming too dense to pass through. Once the child reached a group of trees she stopped and looked at the teen. Startled the teen noticed the child looked “dead in the eyes.” The young girl turned and ran further into the woodland. The teenager feeling she was some how in danger, wisely turned back. Two weeks ago on September 13th a couple was walking through Cannock Chase near Stile Cop with their dog. Once they entered the woodland the road they followed was no longer visible. They heard a child giggling. To their amazement they saw a child no taller than 3 feet on the path in front of them. She appeared to be alone. They stopped dead in their tracks when they noticed her eyes had no color. They were dark and empty. The child’s head was titled at an odd angle to the side--as if she had been hanged. She stopped and stared at them for five minutes before running toward a dense stand of trees. The wife wanted to follow her but her husband listening to his gut feeling insisted they turn back. * Lee Brickley, an English author actively investigates these sightings. The story above about the teenage witness--is his aunt. Here is his web site. 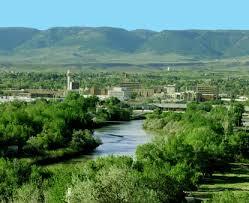 North of Santa Fe, New Mexico is the small town of Espanola. 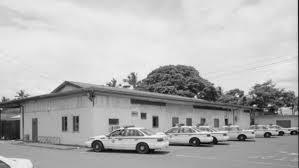 Last Saturday night an officer on duty at the local police station in this community was watching the surveillance cameras when he spotted something strange walk across one screen. This footage was shown yesterday on a local NM news station. This morning it was highlighted nationally on Good Morning America. The ghost was seen in an area behind the station, the sally port, where the stations' squad cars are secured within a locked and gated enclosure. This strange form is a “blurry whitish figure” that walks right through the locked cage gate on the right and then walks across to the left side of the enclosure where it walks right through the fence. It was noted that the alarm goes off whenever anyone goes in and out of this fenced area and at the time of this recording it did not sound. A local news station interviewed one officer who states that he feels strongly that this image is not an insect or light anomaly. He goes on to state that he believes in ghosts and that several of the officers feel the station is haunted. These police officers note that a lot of unexplained activity occurs inside the station. They often hear strange noises and an image has been seen more than once in the lobby. They state while inside alone they often feel as if someone is watching them. They also report feeling something behind them breathing down their necks. * One woman I used to ghost hunt with grew up in the Espanola area. She told me that many people that live in this community see the ghosts of Native Americans on their property. In this report it is stated that there is not a Native American burial ground near this station but that doesn't rule out this possibility. Here is the local news report aired yesterday about this sighting. In it Officer Romero and a detective are interviewed about what was captured on the station’s camera. In 2007, a father living with his family in California started to film some very unusual footage on his video camera. This is his story. Names of the family have been protected. Only the daughters first name is used publically. The father who has an OCD was obsessed when it came to changes in his home. He was so obsessive he would write sticky notes when a light switch was left up etc. and place it by the item. He started to wake up to find that the kitchen pantry door was open when he was sure it had been left closed the night before. Since this continued to happen he decided to set up a video camera to film this pantry door. What he captured confused him. The door opened at 12:34 a.m. by itself. Nothing was in the room or in this pantry. He continued filming the door for 2 more days. The pantry door always opened on its own at exactly 12:34 a.m. He then decided to stay up and watch to see if the door opened again. He filmed the door opening at precisely 12:34 a.m. but this time since he was in the room he went up and shut the door continuing to film. Once he stood back he saw an image pressed against the door on the inside of the pantry. 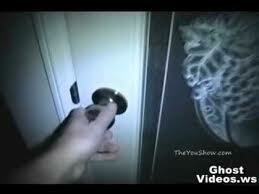 When he played this footage back he saw a face and hands pressed to the inside of the door. He started to place these videos on YouTube. Comments posted below them reflected that many felt he was just faking these videos. Others expressed how “scary” they were. At one point the father even put a lock on the pantry door. The next night as he filmed he heard loud banging sounds at the same time the door normally opened. Then he captured on film the door opening despite the lock. I watched this video--in the film documentary mentioned below-- the door handle twists and rattles as well. One commenter on YouTube that the father connected with was invited to the home to see this phenomenon for himself. The two men stayed up, the father filmed, the visitor watched as the door opened at 12:34 a.m. Then he closed the door, "the father" then encouraged him to put his hands to the outside of the door when the figure's hands appeared. When the face appeared he jumped back. Face and hands pressed to door. Click to enlarge. This phenomenon continued to occur. The wife suggested to her husband he just take the door off the pantry--he did. The couple regretted this decision because then unusual activity started to happen in other areas of the home. Most of this activity revolved around their daughter, Arianna. She started to hear a voice talk to her as she lay in bed. At one point she saw this ghost who told her-- my name is Mable. Arianna started to play with this entity. One evening the father discovered his daughter hiding in her bedroom, she stated she was “playing Hide and Seek with Mable.” He started to play the game too as he filmed. Searching for his daughter he saw a closet door downstairs close. When he opened it his daughter was not inside. He then went back up to her bedroom where he spotted what he thought was Arianna in a corner between the dresser and the wall. He then heard a giggle and found his daughter hiding under a sheet on her bed. He realized what he saw and filmed in the corner must be the ghost. He got his daughter out of the room quickly. Unsettled, he invited a childhood teacher of his--a clairvoyant/medium to visit his home. She sensed the energy in the home was bad. That night as she drew a picture of what she had seen--a dark male form--the father heard his daughter cry out upstairs. Arianna told him that Mable had pulled her hair. He heard noises--all the while filming--he ended up in a walkin closet and opened the crawl space above. He filmed the entity. The family had been planning to move out. But he became determined to move his family within the week. The last days they were in the home they heard crying every night. The last night he got out of bed and filmed the hallway outside his bedroom door--he saw a dark entity in the hall. He went back into the room briefly then he opened the door again. This second time his footage shows a strange dark form that stands up. Once the family moved out they had pictures they had taken in the home printed out. They discovered two photos they had not taken--they were pictures of the family while they slept in bed. Since the father posted the initial videos online he has refused to talk to the media but he did talk anonymously in front of the camera to one production company. This company made a documentary entitled, The Pantry Ghost Documentary that shows a great deal of the footage the father captured. They also extensively interviewed the wife, daughter and him in this film. This production company took the videos to an expert in the field. It was determined they have not been edited, tampered with or faked in any way. This documentary is available to own or rent on Amazon Instant Video here. First-- the Hide and Seek game. Second-- the face and hands appearing while the invited YouTube commenter was there. Third--the dark entity filmed in hallway. Fourth--the pantry door opening, then the face and hands are shown clearly. Notice the father's reaction when he first sees the face on the pantry door and then opens the door -- he realizes his daughter is under the covers and not in the corner--he is genuinely scared. This island is just off the the coast of southern California near Long Beach. Its first inhabitants were the Gabrielino Indians that first arrived at this location around 500 B.C. The island provided them with an abundance of fish in the clear waters just offshore. The plentiful fish also attracted sea otters to the Avalon Bay. In 1811, Russian fur traders that had come south from Alaska slaughtered many of these sea otters for their sleek fur. When the local Indians objected the Russians killed them as well. 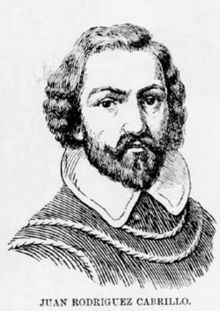 In 1542, a Spanish explorer, Juan Cabrillo discovered the island--he named it Santa Catalina or Saint Catherine. The islands close proximity to the mainland--it is just 21 miles across the channel to reach Catalina from Long Beach--made an ideal location for smugglers. These illegal traders often fought among themselves, which resulted in more deaths in the area. In 1863, during the Gold Rush, greedy miners extended tunnels under the seabed in their quest for gold. Many of these tunnels collapsed and flooded with water. The result was even more deaths. The island is haunted today partly because of its violent past. The ghosts of murdered Indians, smugglers and gold miners have all been seen or heard on or near Catalina. Indians have been known to materialize in the hills behind the town of Avalon. They are seen standing quietly shoulder-to-shoulder. They stare out to sea. Some feel they await the return of the Russians that murdered them. Boaters in the vicinity of Catalina Island over the years has reported catching a glimpse of a mysterious sloop at dawn or dusk. This craft flies no flag and has no running lights. Some feel it carries the phantoms of smugglers. 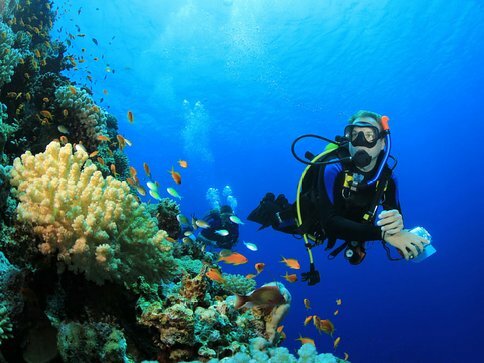 Scuba divers while exploring the underwater gardens near the island have reported hearing the eerie screams of the miners trapped by the collapsed gold-mine tunnels. 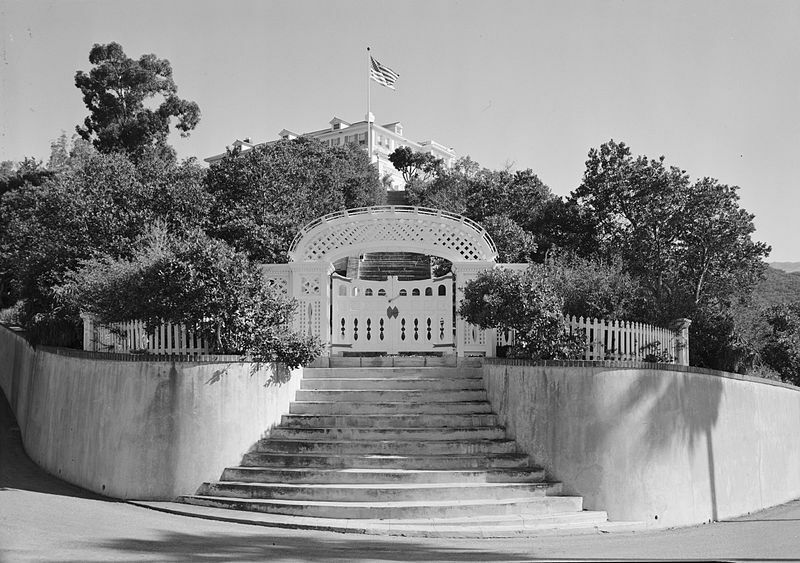 There are two ghosts seen on Catalina that achieved fame while alive. The first is William Wrigley, Jr. Wrigley made his fortune from manufacturing and selling chewing gum. Catalina’s isolation and charm so enthralled him at one point he bought the whole island. His ghost materializes at his grand home at the head of Avalon Canyon. People state this entity is easy to identify for he is always seen-- chewing gum. The second ghost seen is of Natalie Wood. She was an actress who first gained fame as a child in the film, Miracle of 34th Street. She later starred in such hits as Rebel without a Cause and West Side Story. One evening as her yacht was anchored off Catalina, she either attempted to dive overboard or fell off the deck. She plunged headfirst into a dinghy tied alongside which killed her instantly. Her ghost is seen strolling along a nearby beach. Some witnesses have stated she was unclothed. When the accident * occurred, she was supposedly naked. * There has been much speculation since her death--that it actually was not an accident. I talk about another California ghost seen on Coronado Island here. This female ghost is seen at the world famous Hotel del Coronado. Labels: Catalina Island, Gabrielino Indians, ghosts, miners, Natalie Wood, smugglers, William Wrigley Jr.
A book entitled, 13 Alabama Ghosts and Jeffrey is a beloved volume widely read by both the young and old in the South. These co-authors share a variety of suspenseful ghost legends in their book. 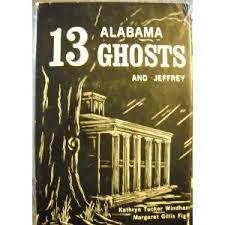 Amidst these eerie tales they manage to also share quite a bit of Alabama’s history. Windham includes the name “Jeffrey” at the end of the title because this is the name of a friendly ghost that lived in her home. She stated Jeffrey actually was her “unofficial collaborator” in writing this book. This collection includes a story about the Unquiet Ghost at Gaineswood, a story about a ghost named Evelyn Carter, who fills a Demopolis antebellum mansion with midnight musical interludes because her body wasn’t returned to Virginia. Another story, The Phantom Steamboat of the Tombigbee, which I wrote about here, is about the wreck of the steamboat Eliza Battle. People still state they see this boat rise on cold nights --its cargo of cotton on fire. * Windham passed away in recent years. The following is one of my favorite tales from this book. To his neighbor’s chagrin a grizzled old sea captain moved into a home on their street. It was rumored he had been forced to leave his beloved sea because of a disagreement he had with another officer. The Captain received few visitors and he had made it clear to his new neighbors that he could not abide landlubbers. The neighbors watched with distain as he puttered in his garden or sat smoking his pipe staring into space. His longing for the sea drove him to visit the docks almost everyday. 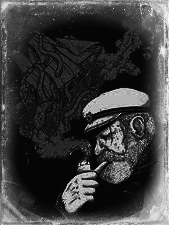 He would smoke his pipe and watch the freighters load and unload their cargoes. In the afternoon he would salute the last ship leaving the harbor and then sadly head home. Eventually this sadness overtook the captain and after returning from the docks late one day his neighbors heard a gun shot followed by someone falling down stairs. The neighbors forced their way into the house and found the Captain dead, his pipe still warm from his last smoke. After the Captain's death an Englishman, Charles Smallwood bought the home. When he died his son William Smallwood and his family moved in. This is when the Captain’s ghost started to appear. One night Charles and his wife heard someone falling down the stairs, certain it was one of their sons they checked to find both boys asleep in their beds. They found nothing near the stairs. After this they heard similar sounds night after night. They like their neighbors came to believe the home was haunted. One morning Mrs. Smallwood discovered who the ghost was. She saw the figure of a strange man holding a stub pipe and wearing a Captain’s cap standing in her flower garden. As she stared at him he vanished. She began to smell tobacco smoke near the home’s back entrance and in the garden. At first, she felt it was her sons sneaking a smoke. But she never discovered their hiding place. One day she challenged them to come out and admit their guilt. Instead, she saw a nautical cap disappear among the trees. As time passed the smell of tobacco smoke became stronger and Mrs. Smallwood realized this aroma announced the presence of the Captain. She put up with his presence until one day he appeared to her valued cook. This lady had a nervous disposition and when she saw the Captain standing at the doorway to her kitchen she quit. This was the last straw for Mrs. Smallwood. Shortly afterwards the family moved out. For years after this the home remained empty--except for the smell of the Captain’s pipe smoke. Windham and Figh followed up their popular first collection with six additional volumes of ghost stories. 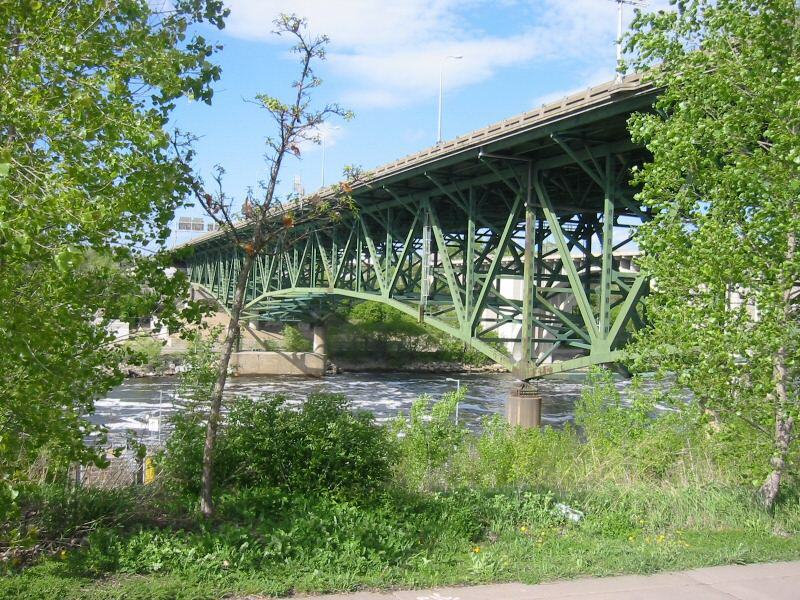 The I-35W Mississippi River Bridge, in Minneapolis, Minnesota, was an 8-lane, steel truss arch bridge that carried Interstate traffic across Saint Anthony Falls at the Mississippi River. 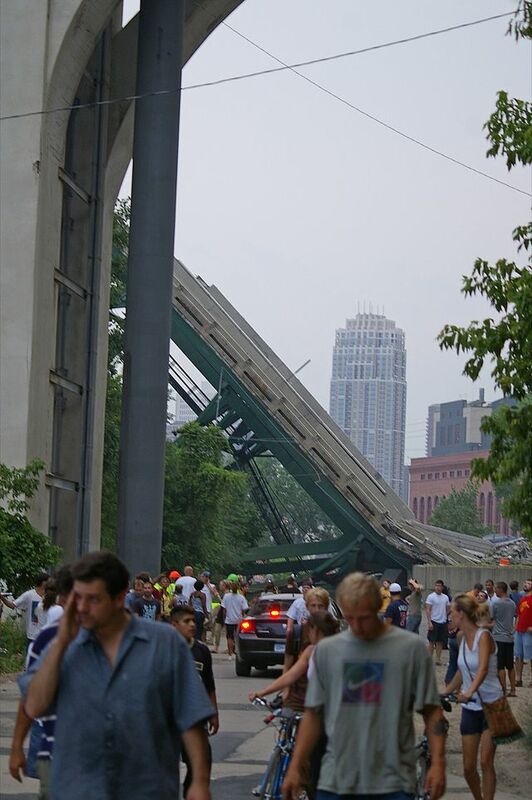 During afternoon rush hour on August 1, 2007 this bridge suddenly collapsed, killing 13 people and injuring 145 more. 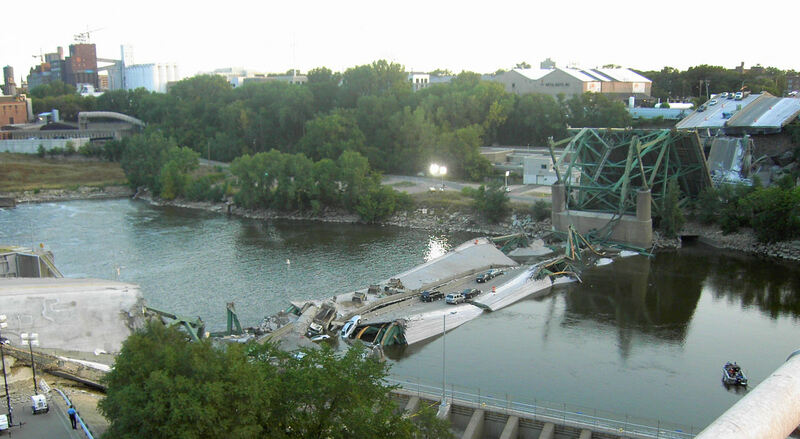 This bridge was Minnesota’s fifth busiest bridge, carrying 140,000 vehicles daily. Ninety-three people were recued from the bridge after the collapse including a school bus with 50 children on board. This bus miraculously rode the concrete on the way down without tipping. No one on board was injured. 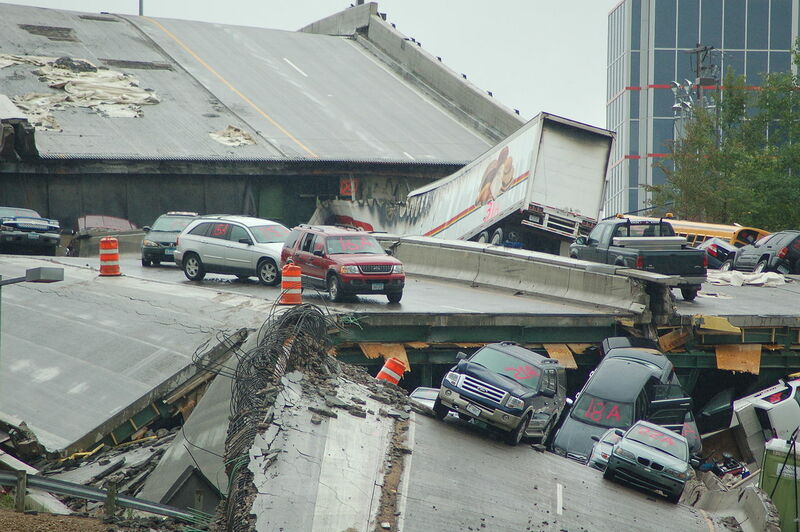 At the time of the collapse construction was underway on I-35, this slowed traffic down which resulted in many cars being on the bridge at the same time. This extra weight and a flaw in the bridge’s initial design are cited for being the cause of this catastrophe. Mathew on Aug. 1st was headed toward the I-35 bridge to pick up a friend that lived on the other side. Because of the construction he was caught in bumper-to-bumper traffic. Mathew had been going through some hard times recently and being a man of faith he took the slowed traffic as an opportunity to pray for help. Mathew recalls he resisted for there was an endless line of cars behind him. But he gave in and stopped. Several people behind started to honk their horns repeatedly. Several cars behind him moved to go around him when they came within 20 feet of the bridge it snapped and then collapsed. Mathew saw 2 cars go off the edge. It took several days for Mathew to comprehend what had actually happened for he was traumatized by what he had seen. He realized that if he had not listened to the voice he would have been on the bridge when it collapsed--not to mention many of the cars that were stopped behind him. He now often gives a silent prayer of thanks. 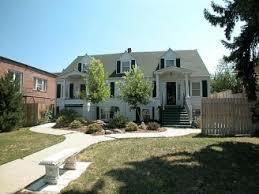 Built in 1916 this beautiful Cape Cod style home is located in Casper, Wyoming. Mr. and Mrs. White had their roomy 3-story house built near the Rocky Mountains. In the 1940’s they had two grand porches added to their home. Mrs. White died in 1995 at the age of 93. 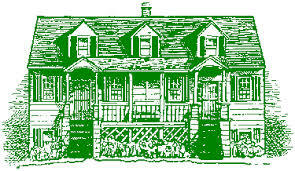 In 1996, Tom and Kathy Johnson bought the home with plans to turn it into a Bed and Breakfast. Neither believed in ghosts but they quickly changed their minds. Mrs. White was known to be controlling while alive and in death this did not change. As the Johnson’s renovated the old home Mrs. White let them know when she was unhappy with the changes. At one point as Tom was using a power drill it stopped working. He turned around to see the cord hanging in mid air before it dropped to the floor. On another occasion he saw his hammer move on its own out of the room he was working in. These experiences changed Tom’s outlook on life and he became a paranormal investigator. The Johnson’s have allowed nine different teams to investigate their inn. Since the Bed and Breakfast has opened Mrs. White has been active on a regular basis. She particularly does not like guests to smoke or drink in her home. Her two Siamese cats also haunt the home. Several guests have reported seeing them running throughout the inn. One female guest stated that a cat slept with her on the end of the bed. She reported it purred contentedly the whole night. Another ghost seen at the inn is a man. He is often seen in the back parking lot. The inn’s alarm goes off repeatedly in this area. The Johnsons wonder if this might be Mr. White. 1 of 5 bedrooms at inn. In one downstairs bedroom guests all report having the same dream. It involves a young man who wanders back and forth between the closet and the sink. But with all this activity it is felt Mrs. White makes the most appearances. Many guests have reported as they walk though the inn they smelled old-fashioned aromas. These include: old menthol cold medication, the aroma of baking chocolate and the odor of a scouring pad on a skillet. Mrs. White’s ghost is seen in mirrors, at windows and she is seen walking down a hall and walking through walls. Guests report they heard someone knocking at their doors but when they went to answer it no one was there. Others report if they took their time answering the door they saw the doorknob twist. It appears Mrs. White likes attention. 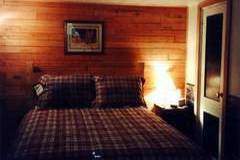 Several photographs taken at the inn have an extra figure in them--Mrs. White. 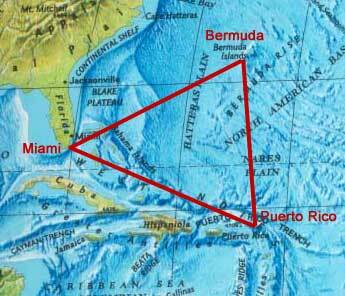 Over the years a lot has been written about the Bermuda Triangle, which is more infamously known as the Devil’s Triangle. This triangle is located in the western part of the North Atlantic. The area is called a triangle because it encompasses 3 vertices that include Miami, Florida, San Juan, Puerto Rico and the mid-Atlantic island of Bermuda. This small patch of ocean has been blamed for hundreds of shipwrecks, plane crashes and mysterious disappearances. Over the years many theories have been put forth in an attempt to solve what was considered in the 1970s a scary mystery. Today, over 40 years later some state that most of the stories written about these lost wrecks, crashes and disappearances were inaccurate or embellished. In some cases, this is true. In others it is not. 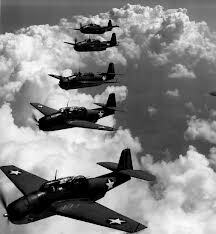 Over the years there have been many debates as to the cause of all these accidents and disappearances. Excluding human error--most theories that have been put forth involve some kind of environmental force that made ships’ and planes.’ compasses or navigational equipment malfunction, which caused them to go off course and become lost. The list of the possible causes is too long so instead here is one of the most intriguing theories. Dr. Richard Mclver an American geochemist and Dr. Ben Chennell of Leeds University in England purpose that Methane hydrates, which are sediments that bubble up from the ocean floor might cause ships to disappear. Landslides on the ocean floor can release vast amounts of this gas--which would be disastrous because it could significantly reduce the density of the water. What this means is it could make any ship floating above sink like a rock. This gas could also cause plane engines to ignite--causing them to explode. In past years there were so many spooky stories and theories told about the triangle that people literally became afraid to travel through this area. Stories of alien UFO abductions and other paranormal phenomenon became as varied as the scientific theories. The stories told of disappearances in the triangle, such as the Carroll A. Deering in 1921, and an entire squadron of Naval planes in 1945 fueled these more alternative theories. An English psychiatrist, Dr. Kenneth McAll put forth a theory in a book he wrote that the souls of black slaves had cursed the triangle, and their spirits still haunt the area. While traveling by ship across the triangle, McAll stated that he and the crew heard continuous mournful singing everywhere on the vessel but they could find no discernable source for it. He later did research and discovered it was in the triangle region where 18th century English sea captains defrauded insurance companies by tossing African slaves into the ocean to drown and then cashed in on the claims. Skeptics state that there is no mystery connected to the Bermuda Triangle. They propose a simple explanation. The triangle is a relatively small region that has some of the most heavily traveled shipping lanes in the world. Because of this, it should not be surprising that a large number of accidents occur in the area. I must note here that vessels started to disappear in this region long before the area was heavily used. Another problem with this theory is it does not explain why many of these 100s of planes and large ships, over more than a century, just disappeared without a trace. For these in peril on the sea! Lake Superior is the largest fresh water lake in the world. This lake is used to transport goods, fishermen harvest its bounty, sportsman scuba dive and leisure boats enjoy its clear surface on sunny days. But seasoned sailors know that Lake Superior has a treacherous side. 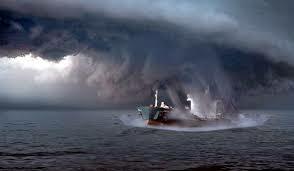 Its rocky shores, hidden reefs and violent storms have claimed hundreds of boats and ships and thousands of lives. Some believe that not all these unfortunate souls rest in peace. Howard as a young child had a near death experience where he almost drowned. He was attending summer camp in Minnesota when he sank beneath the surface of a small lake--at first unnoticed by the lifeguard. He panicked as he first hit the cold water but within moments he slipped into a warm dreamlike state. He then saw his grandparents beckoning to him. They wanted him to join them. He then felt strong reassuring arms bring him to the surface where cold and blue he was unceremoniously dragged to shore. Howard never told anyone except close family members about what he saw beneath the water that day. His family insisted after this he become a strong swimmer. As it turned out this was not the last time he would see spirits beneath water. When Howard grew up he became convinced that his near drowning had made him more sensitive to the presence of spirits. 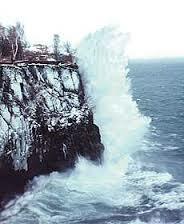 In November hurricanes hit Lake Superior. This is when the lake produces its most powerful icy winds and freezing waves, which rarely have pity or mercy for man. In 1905, the lake took more than 60 men--the highest recorded. One of the ships that Lake Superior claimed that year was the Mataafa. The Mataafa weighted 4,800 tons and was 430 feet long--it was an iron ore freighter. As the rain blinded his view the captain attempted to maneuver his ship around. As he did this enormous waves slammed into her side. The currents at the entrance to the harbor pushed the Mataafa off course. Her hull hit bottom and then she smashed into a pier. This force flooded the engines’ boilers with water. As these fires went out it left the ship powerless and drifting. Four of the 24-member crew lashed themselves to the ship afraid they would be swept overboard. An estimated 10,000 horrified people in Duluth witnessed this wreck. They watched helpless as the stranded vessel was just out of reach and hope. By dawn of the 29th, nine of the crew had either drowned or were frozen and battered to death. The rest were rescued. 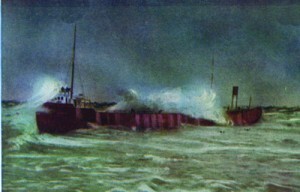 The aftermath of the wreck. The storm that hit that November day is known as the Mataafa Blow. * The James Nasmyth survived the storm intact. The wreck of the Mataafa is in shallow water close to the Duluth shore in three pieces. Afterwards he vowed he would never dive in open water again. For what he had seen was four sailors tied securely to the ship as it sank into the lake. A century after these four men died an agonizing death, Howard saw them straining against their bonds. They were screaming in terror as the ship carried them beneath the icy waves. His friends that dove with him that day saw nothing.